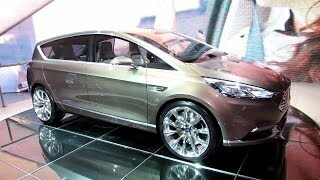 Ford will unveil a concept previewing the second-generation of the S-MAX at the 2013 Frankfurt Motor Show next month. 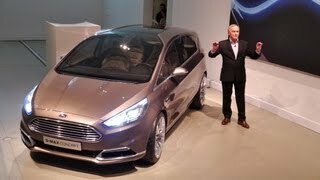 The new 2013 Ford S-MAX Concept employs the latest Ford global design language takes that unique appeal to the next level with latest design and technology innovations. 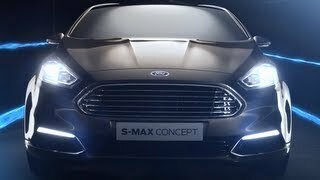 The S-MAX Concept comes with more dramatic curves and has a sportier appearance. It features a front grille similar to that of the Fiesta, a curved roof line, muscular shoulders, distinctive headlamps featuring Organic LEDs, metallic accents and a roof mounted spoiler. An elongated windscreen sweeps into the roof and a feature line runs along the flank to create an impression of length and speed. 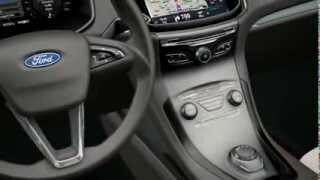 The S-MAX has a spacious and versatile interior that offers anything from four to seven-seat configurations. It comes with an ultra-soft leather wrap for the instrument panel, and leather and carbon fibre detailing for the sculptured seats. 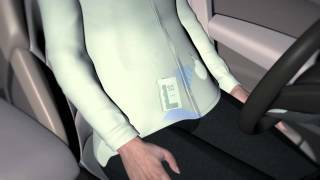 The Ford SYNC system sits at the heart of the vehicle’s advanced connectivity features. The high-efficiency powertrain features the all-new 1.5-litre EcoBoost petrol engine with an output of 178 bhp (133 kW) and 177 lb-ft (240 Nm) of torque. The engine comes with turbocharging, twin-independent variable camshaft timing and further advanced technologies to enhance power and fuel economy.